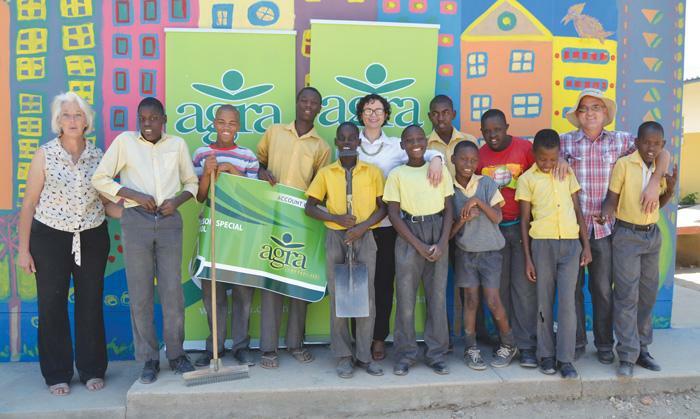 In a quest to development the agricultural and gardening skills for the future generation, Agra handed over a sponsorship of N$60,000, towards the gardening project of the Môreson Special School, last week. The sponsorship entails credit at Agra Hyper of N$20,000 per year for the next three years, to purchase the inputs for their agricultural and gardening project and it also forms part of Agra’s corporate social involvement. The Môreson Special School is situated in Khomasdal and is close to the new development of Agra, the Agra Hyper centre in the Lafrenz Industrial Area. With every large investment of Agra, Agra identifies a beneficiary project close to that development as part of giving back to the community in which Agra does business. The Môreson Special school primarily focuses on providing education to intellectually impaired children and accommodates 130 learners between the ages of six and eighteen from all over Namibia with a hostel accommodating about 55 learners. Practical activities make up an important part of the school’s curriculum in order to equip learners with skills that will enable them to enter the job market after school or to help them take care of themselves and their families. The school aims to expand their agricultural activities with gardens and the keeping of livestock in order to teach learners the important practical skills needed to provide food. Since Agra’s first visit to evaluate the school as a possible beneficiary, a lot has been done to establish gardens to beautify the school yard. Agra’s contribution will enable them to carry out their plans to “start a little farm with an orchard, vegetable garden and animals”, as Principal Anita Kreft shared with the Agra representatives. 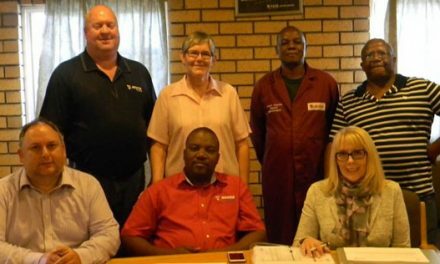 In a thank you letter to Agra, Kreft said: “this generous contribution will benefit the learners with special needs directly as this would prepare them for a self-reliable life once finished with school”.